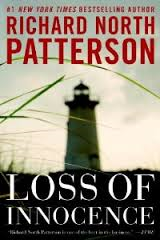 Loss of Innocence by Richard North Patterson is a Quercus publication. This book is slated for an early October,2013 release. Our story starts out in Martha's Vineyard in 2011. Carla is pregnant with her lover's child. She's an actress, recovering alcoholic, and hiding out from the media. She is staying in the guest house of Whitney Dane, a woman that shared a history with Carla's now deceased lover and father of her unborn child. Whitney is now in her mid sixties, was a WASP, and now a successful novelist. As she and Carla meet for a get to know you chat, Whitney begins to tell Carla about her past with Ben. This takes us back to Martha's Vineyard in the landmark year of 1968. Whitney's life was going according to plan. She as engaged to be married. Her father liked her fiancé enough to give him a job and keep him out of the draft. Whitney and her best friend Clarice have the summer to spend together and plan a wedding. The only dark clouds in the sky have to do with Whitney's sister Janine. Whitney was not her mother's favorite daughter. Janine was model material and Whitney's mother lived vicariously through her. If her relationship with her mother was strained, it was made up a little bit by her father. Whitney held her father in the highest regard. While Whitney harbors the usual doubts about marriage and her fear of becoming like her mother, for the most part she is content. Until she meets Ben. Ben and his brother Jack are from a violent background. Their father was an abusive man and a heavy drinker. The boys worked for caterers for the wealthy on Martha's Vineyard. Ben is like no one Whitney has ever met. He was enrolled at Yale, but had dropped out to work for Bobby Kennedy. He was still raw from Bobby's death and now fears that he will be drafted. His politics and resentment toward those of privilege, causes Whitney to take stock of her life. She realizes that her life has been sheltered and isolated. There was more she could do and be besides someone's wife or someone's mother. For the first time Whitney begins to see things from another perfective and this worries her parents a great deal. They do not like her new friendship with Ben. Ben stirs up things between Whitney and her fiancé, Peter as well. As Whitney grapples with her sudden restlessness regarding her future and feelings for Ben, dark family secrets come to the surface. For Whitney things may never be the same again. The bulk of the story is set in 1968. This particular year was just mind blowing. Going back and remembering all the events of that year, it was hard to believe so much happened is such a short space of time. The setting of Martha's Vineyard was perfect. This location was so far removed from the violence and drugs and rock festivals and all the other trappings of that year. It was like being on another planet. The upper classes were still holding on the old value system. The wife lurking in the background, while her husband provides for the family. The prejudices against race and religion, the conservative politics and the power at the finger tips of those with wealth. Whitney was not unlike a lot of girls in that time, raised in the type of family she was. There was certain amount of innocence that really is naïve. These girls didn't march in Washington or protest openly, or any of the other things going on in that era. Whitney did defy tradition in some ways, but for the most part she did what was expected of her. It was particularly disturbing to read some to the conversations between Whitney and her mother. The expectations of wives that she felt Whitney should adhere to in her upcoming marriage. Although Whitney was college educated, she was mostly surrounded by others like herself. Meeting Ben was the best and worst thing that happened to Whitney. He was the first person that shook her out of her own little world. Even Whitney's best friend's only ambition was to achieve status quo. It was no wonder Ben had such an effect on Whitney. We watch with interest as Whitney comes out of her shell and then we watch in absolute horror as she discovers horrible truths about her own family. Things don't turn out like you might expect. But for Whitney, a young girl that grows into womanhood in one summer, she takes control of her life in a way she never would have imagined herself doing. This is a poignant story. Nostalgic , but also melancholy. It was tragic, but ironic, and ultimately Whitney wins my approval and respect. I would like to have been given a little information about Ben and Carla and the circumstances that brought Carla to this point. Maybe someday we will read about that portion of Ben's life.